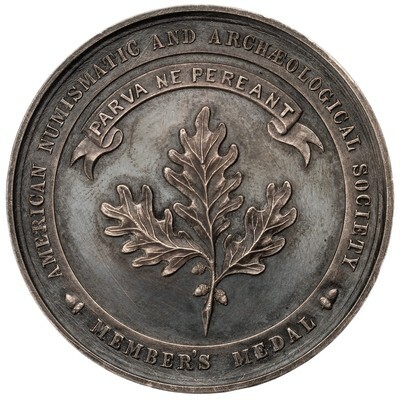 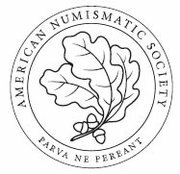 Obverse: AMERICAN NUMISMATIC AND ARCHÆOLOGICAL SOCIETY / (acorn) MEMBER’S MEDAL (acorn) - A sprig of three oak leaves beneath a ribbon bearing the legend PARVA NE PEREANT. 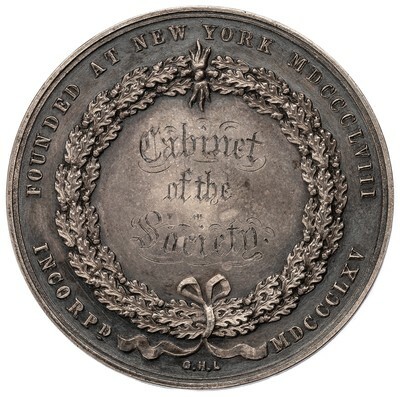 Reverse: FOUNDED AT NEW YORK MDCCCLVIII / INCORPD MDCCCLXV; signed G.H.L below the wreath’s ribbon tie. 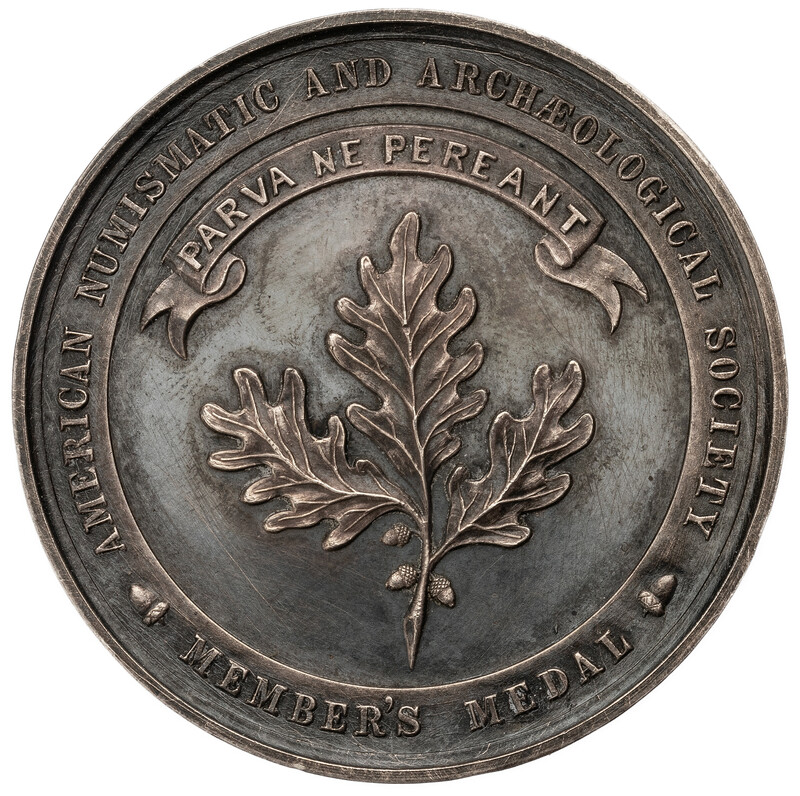 - A wreath of oak leaves enclosing a blank field for engraving the member’s name and date ofmembership. Inscribed: Cabinet / of the / Society.